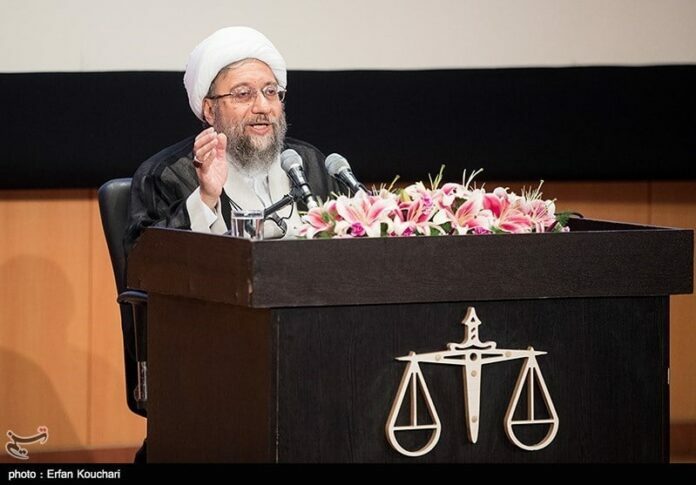 The killing of Saudi journalist Jamal Khashoggi at the Saudi consulate in Istanbul laid bare the nature of the Riyadh regime, whose young crown prince is butchering innocent people, Iran’s Judiciary Chief Ayatollah Sadeq Amoli Larijani said. Addressing a meeting of top Judiciary officials in Tehran on Monday, Ayatollah Amoli Larijani said the gruesome murder of Jamal Khashoggi reveals the terrorism-sponsoring nature of Saudi Arabia, its monarchy and its young crown prince who is seeking fame and slaughtering innocent people. At first, Saudi Arabia sought to whitewash the murder of Khashoggi with the help of Westerners, but after being forced to admit the killing, it has blamed rogue elements as a way of sanctifying the corrupt ruling regime, the top Iranian judge added. He further lashed out at the West for adopting double standards on human rights, saying many Western governments have focused on the Khashoggi case and are ostensibly pursuing the issue, but have remained silent about the Saudi crimes in Yemen. The conscientious parties in the world and Muslims countries must care about “Saudi Arabia’s state-sponsored terrorism” and address the problem which has turned into a tool for the US to achieve its colonialist objectives, Ayatollah Amoli Larijani went on to say. Khashoggi went missing on October 2 when he entered the consulate in Istanbul. After weeks of denying knowledge of his fate, Saudi officials said the prominent journalist was killed in what they describe as a “rogue operation”. After denying any involvement in the disappearance of Khashoggi, 59, for two weeks, Saudi Arabia on Saturday morning said he had died in a fistfight at the consulate. An hour later, another Saudi official attributed the death to a chokehold. The death of Khashoggi has snowballed into a massive crisis for the kingdom, forcing the 82-year-old monarch, King Salman, to personally get involved.